Karan Johar threw a splendid party on the second birthday of his twins Roohi and Yash. 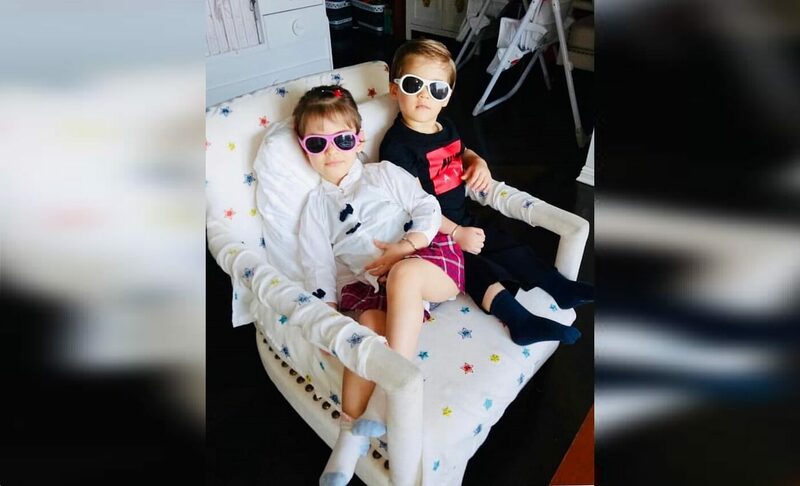 The delectable brother-sister duo turned two on February 7 and Papa KJo made sure to make it a party to remember. There were other star kids, there was a big cake, and there were gifts and loads of singing. Karan’s twins turned two on 7th February and the easy-going dad was over the moon. In the a.m., he put up video clips of Roohi and Yash with his mother, him and maybe some in the staff singing, Happy Birthday song for the kids. Later in the evening, there was the little munchkin’s party and among the little ones was Taimur Ali Khan, Misha Kapoor, AbRam, and others. Where"s the party kiddos can this uncle come for a pap time 😛😛😛. Actor Varun Dhawan was the first star to arrive at the birthday party of twins Roohi and Yash. Photographs of Varun with little Roohi and Yash from the party setting in the backdrop. Roohi and Yash were outfitted elegantly in jeans, T-shirt and jackets while Taimur turned up in a light blue track suit. In another rather endearing picture, Roohi and Yash can be seen wearing traditional clothes — a South-Indian cream and gold bordered lehenga choli for Roohi, while Yash seems to be wearing, what looks like a south-Indian styles dhoti! They look undeniably charming. Shahid Kapoor’s daughter Misha Kapoor and Shah Rukh Khan’s son AbRam intermingle onstage as a lady sings kindergarten poems. Meanwhile, Yash Johar decides to stretch on the platform. How adorable! We wish the little ones, a very happy birthday.